The What We Remember Podcast stars Bradley Jones, Andy Moldenhauer, and Andy Hubert. They try to recall the things in movies that they haven't seen in a very, very long time. They then watch the film to see what things they got right and what things they got wrong. 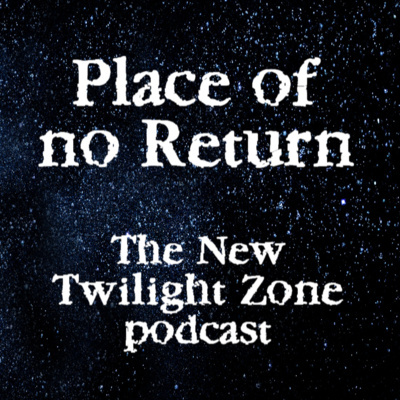 The hosts of the What We Remember Podcast chat about the brand new episode of The Twilight Zone Nightmare at 30,000 Feet. The What We Remember Podcast stars Bradley Jones, Andy Moldenhauer, and Andy Hubert. They try to recall what happened in movies that they haven't seen in a very, very long time. Then they watch the film to see what they got right, and what they got wrong. 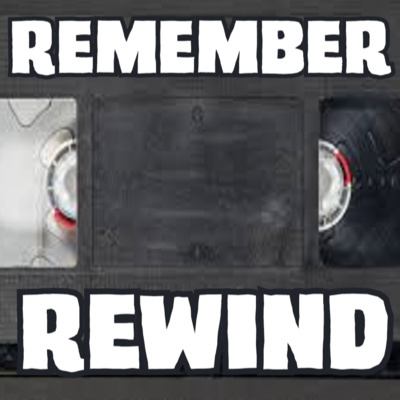 In this first episode of Remember Rewind, the guys remember all things camcorder. In this episode, the guys try to remember all the things that happened in the movie Ocean's Eleven. Discussions include Jon Cheadle, Crasinos and Grambling, and lots of boo da du dat da dooon tish. The What We Remember Podcast stars Bradley Jones, Andy Moldenhauer, and Andy Hubert. They try to recall what happened in movies that they haven't seen in a very, very long time. Then they watch the film to see what they got right, and what they got wrong. The hosts of the What We Remember Podcast chat about the brand new episode of The Twilight Zone The Comedian. Watch it for free at https://youtu.be/19GO8-Rrn0g The What We Remember Podcast stars Bradley Jones, Andy Moldenhauer, and Andy Hubert. They try to recall what happened in movies that they haven't seen in a very, very long time. Then they watch the film to see what they got right, and what they got wrong. In this episode, the guys try to remember all the things that happened in the movie Don't Tell Mom the Babysitter's Dead. Discussions include kids using curse words, first jobs, and Andy's computer getting a virus. 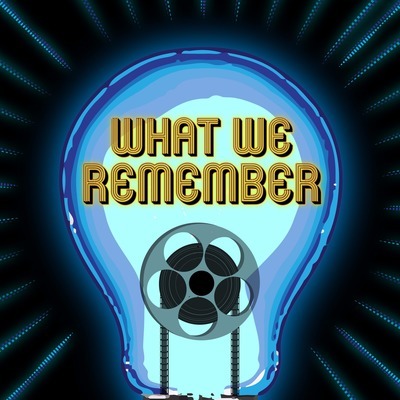 The What We Remember Podcast stars Bradley Jones, Andy Moldenhauer, and Andy Hubert. They try to recall what happened in movies that they haven't seen in a very, very long time. Then they watch the film to see what they got right, and what they got wrong. 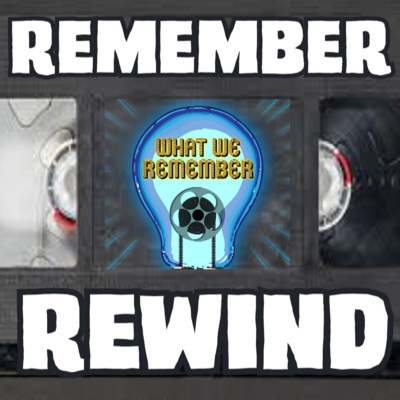 In this episode of Remember Rewind the guys remember all things about Mall Movie Theaters. In this episode, the guys try to remember all the things that happened in the movie The Mask. Discussions include shoving tailpipes up tailpipes, incomprehensible villains, and SssssaaMOKIN. The What We Remember Podcast stars Bradley Jones, Andy Moldenhauer, and Andy Hubert. They try to recall what happened in movies that they haven't seen in a very, very long time. Then they watch the film to see what they got right, and what they got wrong. In this episode, the guys try to remember all the things that happened in the movie Bring It On. Discussions include stolen cheer routines, spirit sticks, and fingers in bums. The What We Remember Podcast stars Bradley Jones, Andy Moldenhauer, and Andy Hubert. They try to recall what happened in movies that they haven't seen in a very, very long time. Then they watch the film to see what they got right, and what they got wrong. In this episode, the guys try to remember all the things that happened in the movie Cocoon. Discussions include old men, swimming pools, aliens, and old men in swimming pools with aliens. The What We Remember Podcast stars Bradley Jones, Andy Moldenhauer, and Andy Hubert. They try to recall what happened in movies that they haven't seen in a very, very long time. Then they watch the film to see what they got right, and what they got wrong. In this episode, the guys try to remember all the things that happened in the movie Bowfinger. Discussions include cults, scams, and even a few shams. The What We Remember Podcast stars Bradley Jones, Andy Moldenhauer, and Andy Hubert. They try to recall what happened in movies that they haven't seen in a very, very long time. Then they watch the film to see what they got right, and what they got wrong. 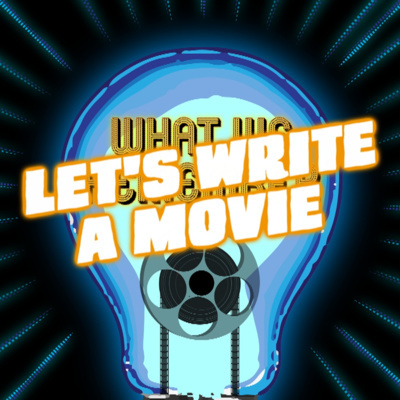 In this episode, the guys try to remember all the things that happened in the movie Wild Things. Discussions include... you know... that scene... you know. ;-) The What We Remember Podcast stars Bradley Jones, Andy Moldenhauer, and Andy Hubert. They try to recall what happened in movies that they haven't seen in a very, very long time. Then they watch the film to see what they got right, and what they got wrong. In this episode, the guys try to remember all the things that happened in the movie Blade. Discussions include bloodbaths, daywalker blood, and blood gods. The What We Remember Podcast stars Bradley Jones, Andy Moldenhauer, and Andy Hubert. They try to recall what happened in movies that they haven't seen in a very, very long time. Then they watch the film to see what they got right, and what they got wrong. In this episode, the guys try to remember all the things that happened in the movie Bad Santa. Discussions include Billy Bob Thorton being drunk, Billy Bob Thornton being bad, and Billy Bob Thorton being Santa. The What We Remember Podcast stars Bradley Jones, Andy Moldenhauer, and Andy Hubert. They try to recall what happened in movies that they haven't seen in a very, very long time. Then they watch the film to see what they got right, and what they got wrong. In this episode, the guys try to remember all the things that happened in the movie Edward Scissorhands. Discussions topiaries, lasagnas, and scissor dicks. The What We Remember Podcast stars Bradley Jones, Andy Moldenhauer, and Andy Hubert. They try to recall what happened in movies that they haven't seen in a very, very long time. Then they watch the film to see what they got right, and what they got wrong. In this episode, the guys try to remember all the things that happened in the movie Ferris Bueller's Day Off. Discussions include stealing cars, people singing on cars, and cars falling out of windows. The What We Remember Podcast stars Bradley Jones, Andy Moldenhauer, and Andy Hubert. They try to recall what happened in movies that they haven't seen in a very, very long time. Then they watch the film to see what they got right, and what they got wrong. In this episode, the guys try to remember all the things that happened in the movie Joe's Apartment. Discussions include singing cockroaches, performance street art, and giant urinal cakes, The What We Remember Podcast stars Bradley Jones, Andy Moldenhauer, and Andy Hubert. They try to recall what happened in movies that they haven't seen in a very, very long time. Then they watch the film to see what they got right, and what they got wrong. 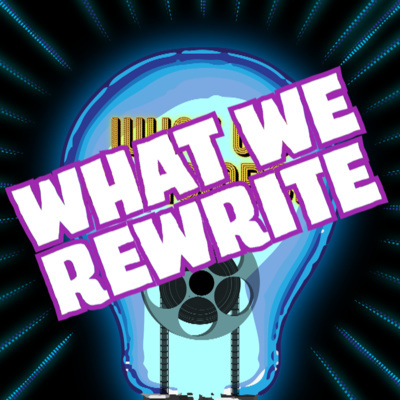 In this episode, the guys try to remember all the things that happened in the movie I Know What You Did Last Summer. Our discussions include a trunk full of crabs, a meathead boytoy that may or may not be Ryan Phillipe (it is), and us figuring out what the heck is the plot. The What We Remember Podcast stars Bradley Jones, Andy Moldenhauer, and Andy Hubert. They try to recall what happened in movies that they haven't seen in a very, very long time. Then they watch the film to see what they got right, and what they got wrong. 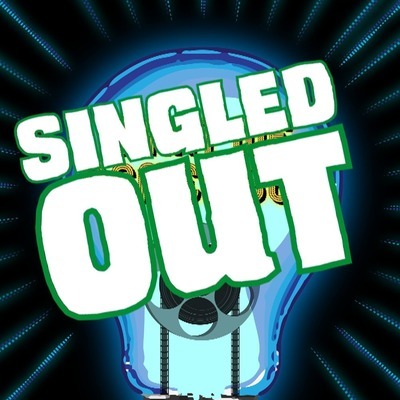 A brand new segment on the What We Remember podcast feed debuts with Singled Out! In this episode of Singled Out Brad tells the Andy's everything that he remembers about the movie Willow: a movie neither Andy has seen! Join us and listen to Brad as he tells you all about old lady sorcerers that got turned into animals, the greatest swordsman that has ever lived, and of course Trolls. In this episode, the guys try to remember all the things that happened in the movie The Lost World: Jurassic Park. Discussions include Stone Cold Steve Austin, rampaging t-rex's, and little girls kicking raptors. The What We Remember Podcast stars Bradley Jones, Andy Moldenhauer, and Andy Hubert. They try to recall what happened in movies that they haven't seen in a very, very long time. Then they watch the film to see what they got right, and what they got wrong. In this episode, the guys try to remember all the things that happened in the movie The Good Son. Discussions include child actors, the need for good grief counseling, and practical advice for dealing with a sociopathic brother/cousin. The What We Remember Podcast stars Bradley Jones, Andy Moldenhauer, and Andy Hubert. They try to recall what happened in movies that they haven't seen in a very, very long time. Then they watch the film to see what they got right, and what they got wrong. 14 Dude, Where's My Car?